The AMD A10 Pro-7350B is a power efficient ULV (Ultra Low Voltage) quad-core processor based on the Kaveri architecture. It was revealed in June 2014 for notebooks and is manufactured by GlobalFoundries using a 28 nm SHP process. In addition to having two CPU modules for a total of four integer cores clocked at 2.1 - 3.3 GHz, the AMD chip also integrates a Radeon R6 GPU clocked at up to 553 MHz with 384 GCN shaders and a dual-channel DDR3-1600 memory controller. Technically, the 7350B is almost identical with the consumer model FX-7500. However, AMD guarantees an especially high stability and durability for the business-oriented Pro-Series. According to our benchmarks (shown below), the A10 Pro-7350B offers a CPU performance level similar to the Haswell-based Intel Core i3-4100U. Overall, the 7350B will be sufficient for all daily workloads (Office, Internet browsing, multimedia) as well as light multitasking. The Radeon R6 (Kaveri) GPU of the A10 Pro-7350B features a core clock of up to 553 MHz and 384 shader units. Since the GPU is based on AMD's GCN 1.1 architecture, both DirectX 11.2 "Tier 2" and Mantle are supported. Furthermore, the GPU can be used for general purpose computing in various applications, such as Adobe Photoshop via the OpenCL API. In terms of 3D performance, the GPU is almost as fast as a dedicated GeForce GT 720M and can handle many current games at low or medium settings at (W)XGA resolution. The power consumption of the entire APU is rated at 19 Watts, which is somewhat above the Haswell ULV CPUs from Intel (15 W including chipset). Nevertheless, the A10 Pro-7350B is suited for 12 - 13-inch notebooks or larger. 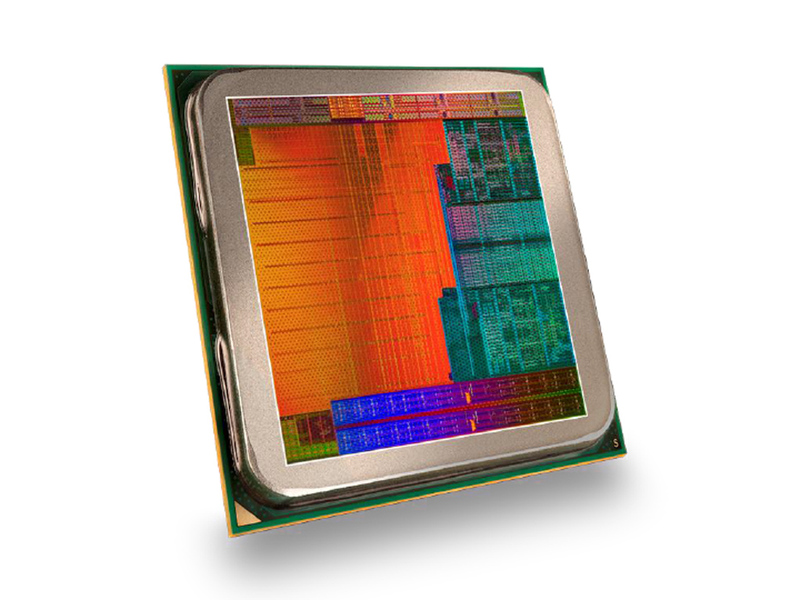 The AMD A8 Pro-7150B is a power efficient ULV (Ultra Low Voltage) quad-core processor based on the Kaveri architecture. It was revealed in June 2014 for notebooks and is manufactured by GlobalFoundries using a 28 nm SHP process. In addition to having two CPU modules for a total of four integer cores clocked at 1.9 - 3.2 GHz, the AMD chip also integrates a Radeon R5 GPU clocked at up to 533 MHz with 384 GCN shaders and a dual-channel DDR3-1600 memory controller. Technically, the 7150B is almost identical with the consumer model A10-7300. However, AMD guarantees an especially high stability and durability for the business-oriented Pro-Series. According to the clock rates, the A8 Pro-7150B should offer a CPU performance level similar to the Haswell-based Intel Core i3-4010U. Overall, the 7150B will be sufficient for all daily workloads (Office, Internet browsing, multimedia) as well as light multitasking. Detailed benchmark can be found on the cpu page of the A10-7300 APU. The Radeon R5 (Kaveri) GPU of the A8 Pro-7150B features a core clock of up to 533 MHz and 384 shader units. Since the GPU is based on AMD's GCN 1.1 architecture, both DirectX 11.2 "Tier 2" and Mantle are supported. Furthermore, the GPU can be used for general purpose computing in various applications, such as Adobe Photoshop via the OpenCL API. In terms of 3D performance, the GPU should be roughly as fast as a dedicated GeForce GT 720M and can handle many current games at low or medium settings at (W)XGA resolution. The power consumption of the entire APU is rated at 19 Watts, which is somewhat above the Haswell ULV CPUs from Intel (15 W including chipset). Nevertheless, the A8 Pro-7150B is suited for 12 - 13-inch notebooks or larger.